In today’s competitive market, it’s more important than ever that your business stands out from the crowd. That’s why incovo strives to do things quicker and slicker, and in turn help our clients to do the same, by streamlining their telecommunications and upgrading their document devices. Whether you’re a small start-up business looking to save on printing costs, an established company looking to update your business mobile, or a large-scale call centre enterprise searching for a more efficient way to operate, we can advise on the best solutions to suit your individual business’ needs. Why choose incovo? Not only have we been trading since 2002 but because collectively, we have more than 50 years of experience in the industry and we make it our mission to keep right up to date with the latest technological developments. 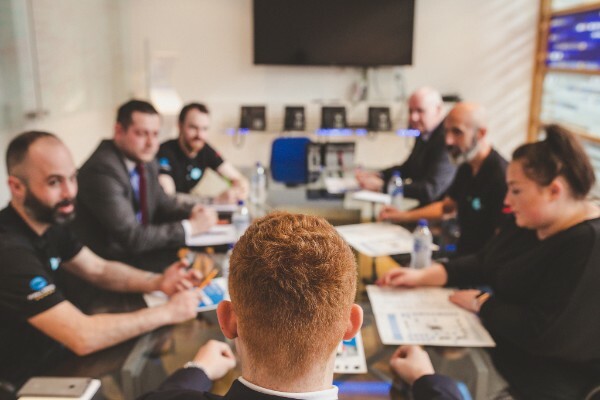 Plus, all our engineers undergo extensive professional training so we can offer you the very best service at every stage; from installation right through to aftercare support and maintenance. Most importantly, we’re a friendly, down-to-earth and accessible team. We’re based right here in Scotland, which means you can pop into our Livingston office, take a look at our demo suite, and have a chat with us any time. Just call us on 0345 450 8400 and arrange to come see our quicker, slicker solutions that could make a real difference to your business.